In the past, teeth were generally repaired with dental amalgam fillings or gold restorations. Thanks to the modern techniques and dental materials, teeth can be recovered with a more aesthetic and natural appearance. Nowadays, there are various types of cosmetic fillings available. The type of dental filling used will depend on the location of the tooth. It can also depend on the quantity of tooth structure that needs to be repaired. A filling is a material used to fill a cavity in the tooth formed after the treatment of caries or as a result of mechanical or other damage to the tooth. The dental filling is necessary to isolate the sensitive tissues of the tooth and prevent the entry of microbes into the cavity formed. A filling is a special quick-healing material, with which the Dr. Sahakyan at My Dentist Burbank restores small defects of the tooth, such as carious cavities, chips or cracks in the enamel, fissures on the surface of the chewing teeth. Why Is Dental Filling Done? The filling is necessary when tooth decay has caused a cavity to form on a tooth surface. The cavity will get worse if you do not get a filling. It may cause pain and may lead to more serious problems, such as bone loss. A filling repairs the tooth and stops tooth decay. If any of those conditions are present, contact the best dentists in Burbank at My Dentist Burbank for a complimentary consultation. 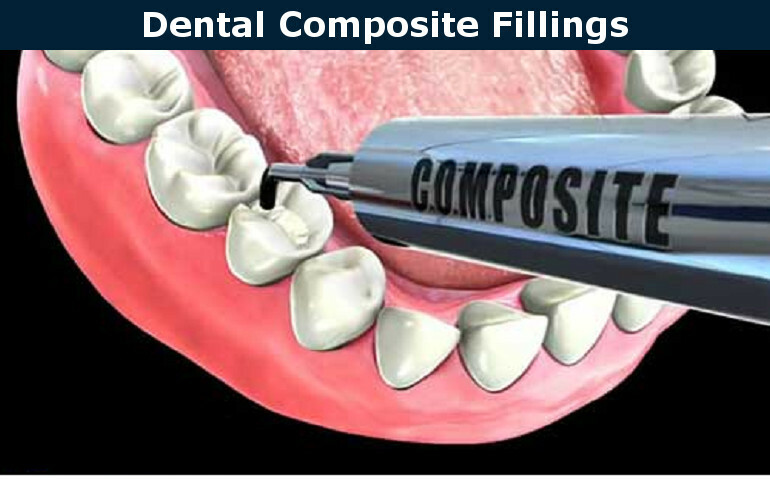 The most simple form of filling is called a composite. Composite fillings are more commonly known as tooth-colored fillings or white fillings. Today such fillings are successfully used to restore decayed teeth. Moreover, they are often used for cosmetic purposes, when patients need to change the shape or color of the tooth. They are characterized by excellent color, fastness, and strength. If you need any composite fillings, first of all, consult Dr. Sahakyan, the best dentist in Burbank, at My Dentist Burbank. A feature of composite fillings is the presence in their composition of an organic polymeric resin and crushed mineral particles. The color and transparency of the material completely correspond to the hard tissues of the tooth, so it is completely invisible to prying eyes. After installation in the oral cavity, the viscous composite freezes under the influence of light or as a result of a chemical reaction. Why are composite fillings necessary? Restoration of carious cavities and various non-carious defects. Correction of the shape and color of the teeth. Change the size of the teeth. They can help to insulate the remaining tooth structure from radical temperature changes. They can prevent tooth breakage in some cases. They have high durability. With the hygiene of the oral cavity, the service life of the composite filling is 5-7 years. Virtually invisible in the oral cavity. The color of the filling is selected for the color of the patient’s natural teeth. They give a minimum shrinkage upon curing. They are chemically bonded to the tooth which provides support to the structure of the tooth itself. They may be used on the front and chewing teeth without compromising aesthetics. If injured they can be repaired. How Are Composite Fillings Placed in Burbank? 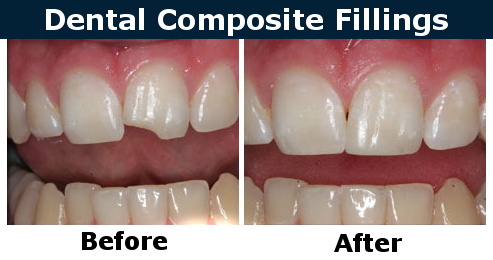 A composite filling is completed in one visit. 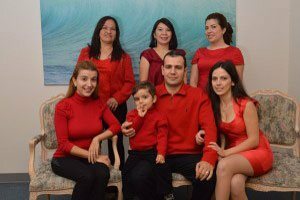 During the treatment, Dr. Sahakyan at My Dentist Burbank will remove the damaged and decayed portion of the tooth. After cleaning the tooth dentist will fill in the tooth with composite resin to restore it. For better bonding of the composite with dental tissues, the enamel is grinded, followed by the treatment of the cavity with resin. Further mixing of the composites and filling the cavity with the resulting mass is performed. Once the surface hardens, it is polished. The feel and look of your tooth now is almost indifferent from the natural one. Composite filling needs to be protected from changes in color. It is recommended not use products that paint teeth, such as smoking, tea, coffee and other foods that can stain. If you would like to find out more about composite fillings and how they could help you, please call Dr. Sahakyan at 818-578-2332, the best dentist in Burbank and schedule a consultation today.